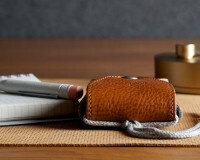 Hard Graft has been one of our favorite suppliers of essential leather goods for a while now, and this cutout card case merely reaffirms our ongoing desire to run out and buy every single one of their products. 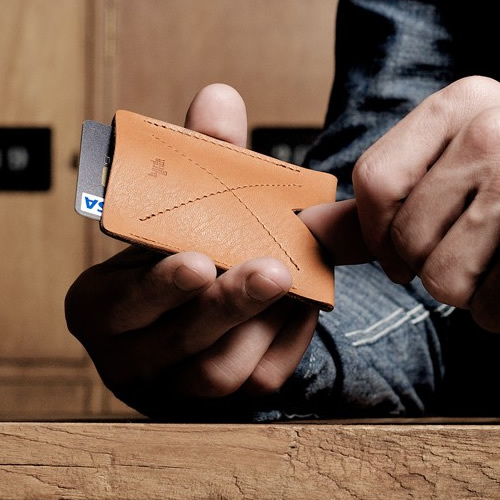 Handcrafted in Italy with premium vegetable tanned leather, the super-thin, simple, all-leather card case holds 6 cards (8 after its been worn in), and allows the owner to push out the contents from the bottom with his thumb. 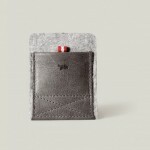 Available in grey, tan, and brown, this case is available for purchase through the Hard Graft website. 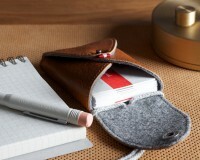 This entry was posted in Cases, Small Goods and tagged Hard Graft, Italy. Bookmark the permalink.